They feel the service they have purchased is not being provided to them as promised. They do not see the value in what they have purchased. They have found a company that can provide to them what they perceive to be a similar service at a lower price. My fifteen years in the business world have taught me how to overcome the majority of these objections. For example, by creating a transformational business environment, one can attract and retain competent employees who, because they feel valued, in turn, value the clients of your company. The environment in which they work fosters one where everything promised to a client is delivered and more. This should, in theory, eliminate the objection of a client claiming they did not get what they had been promised. The second objection of clients not seeing the value of what they have purchased is consistently overcome by staying in contact with clients and explaining to them the value and benefits of what they are receiving. This is achieved by maintaining the manpower necessary to visit clients on a regular basis, so they do not feel forgotten. I have learned that a “neglected client” is an unhappy client. No matter how much work you are doing behind the scenes, if a client does not see your face at least fairly regularly, the turnover of this client is inevitable. After all of these factors have been taken into consideration, and preemptively dealt with, why does client turnover still occur? As previously stated, the circle of transformation must be complete in order for it to accurately work, just like the wheel of a car will not perform properly if it has a hole. Quite simply, transformative businesses require transformative clients-that is, clients who want to employ your services in order to contribute to the transformative environment they are fostering for themselves, their employees, and, in turn, their own clients. A strategic partner I have has said to me, “I have fired clients, and I have let clients expire, but rarely if ever do I take them to court. If they do not value what I am doing, I will let them go.” She has a point. As a transformational business person, we need to pick like-minded clients. If we do not, the struggle is almost not worth it. Surprisingly, the royal family of England is an excellent example of a transformational “company.” The Queen of England provides a constantly evolving environment for her family and employees. The mere existence of Meghan Markle in the royal family is indicative of the family’s ability to adapt. 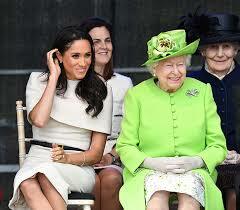 Twenty years ago, a divorced American actress would have never perceived joining the royal family as a positive career move, much less a possible lifestyle choice. Megan has been given the opportunity to take on a royal role and make it her own. Of course, there are guidelines, but the restrictions placed upon her are no more than those placed upon individuals within a corporate environment. Without its transformational nature, the British monarchy would have been thrown out long ago. All businesses, in order to stay relevant, must evolve and change. In conclusion, there are three main objections put forth by clients regarding cancellations. While transformational working environments can adequately overcome these objections, client turnover can still occur if the clients themselves are not as adaptive to change. A broken wheel cannot turn, and in order for the wheel of transformation to go “round and round,” both vendor and client must share this same philosophy. If they do not, then no amount of hard work or innovation can overcome client turnover. Just as the royal family of England has found regarding their own family and employees, businesses must have innovation and transformation in order to survive and thrive. Goodbye Transactional Leader. Hello, Transformational.